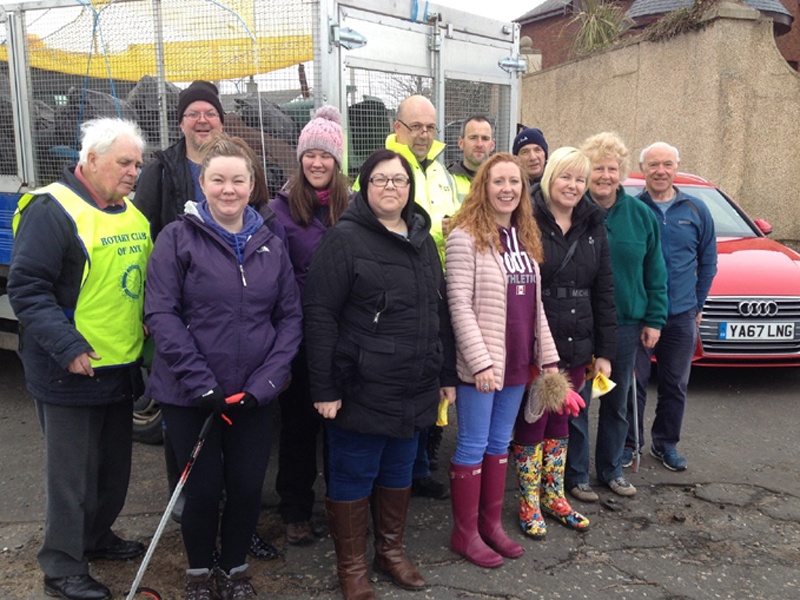 What a great success the 12th Annual Beach Clean was! And to cap it all, we were invited to send a load of plastic rubbish to London for the BBC One show. 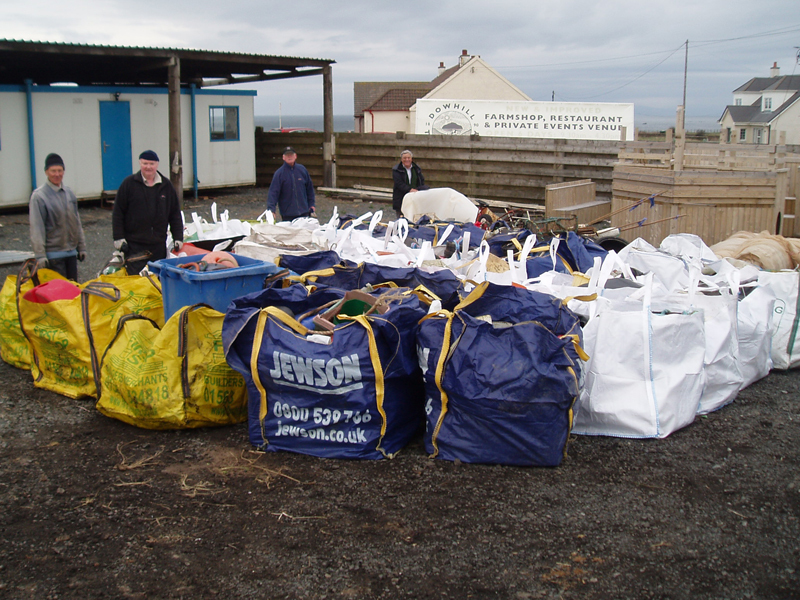 Over 800 bags of rubbish were collected by volunteers organised by Girvan, Alloway, Ayr, Prestwick, and Troon Rotary Clubs between Ballantrae and Troon – with 636 bags collected by Ayr Rotary Club from 7 beaches. 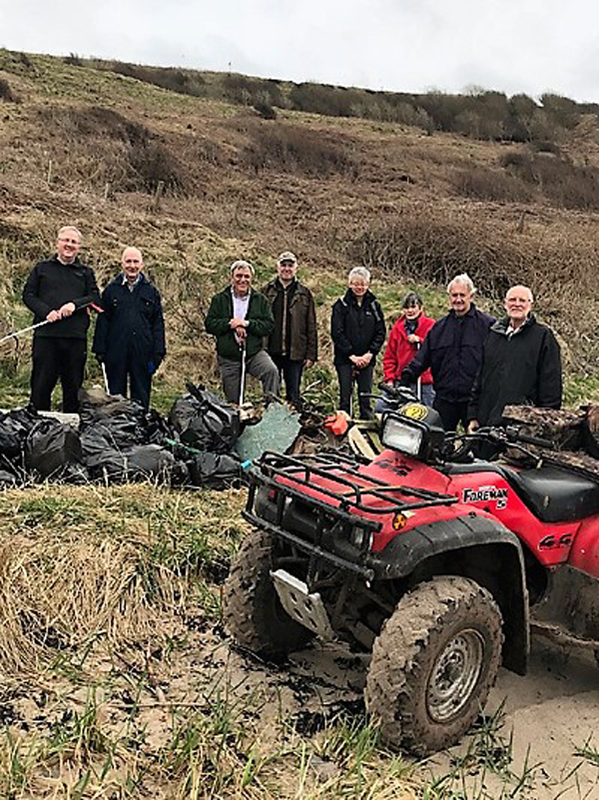 Thanks to around 30 willing volunteers, 330 bags were removed from 2km of Dowhill to Turnberry Beach which had never been cleaned before, and a further 75 bags from the adjacent 1km long Dunnymuck beach. 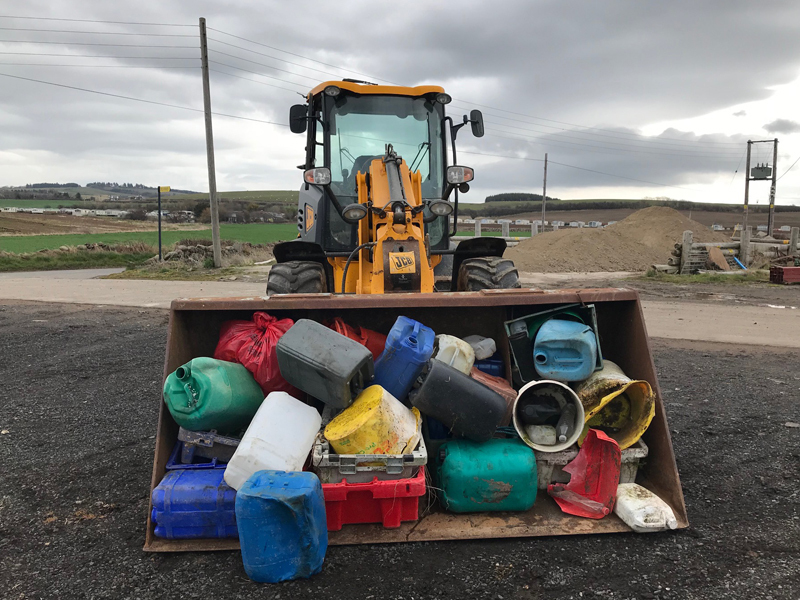 This staggering combined total of 405 bags was loaded into 40 large bulk bags, which are now heading for London by lorry, to to be dumped outside the BBC as the main exhibit in The One Show special on Ocean Plastic Pollution on Monday 16 April. NB. Plastic rubbish formed 93% of the total stuff gathered on these 3km of beach. 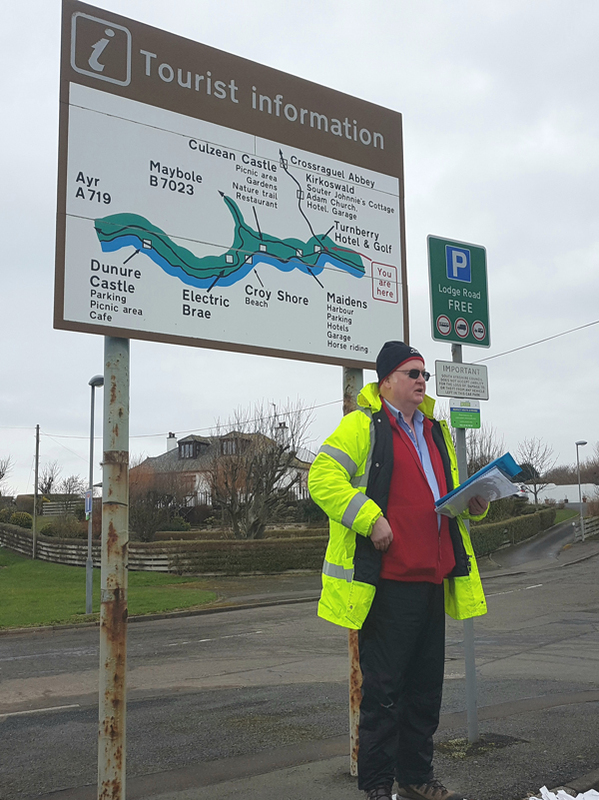 In contrast to these wild beaches, after 12 years of Rotary Beach Cleans, much less litter is now being collected from the town beaches of Girvan/Ballantrae (92), Doonfoot (34), Ayr (90), Prestwick, and Troon (14), thanks to an increased public awareness – and the sterling work of local resident groups, who now patrol and clean these beaches on a regular basis. Our grateful thanks to both them – and all the volunteers who ventured south to the remote beaches – for making our beaches beautiful again.